Hello everyone! Welcome back to my cars and vehicles blog. I hope you all had a great weekend. He had because last weekend I was driving around with my mates and one of them showed me his latest purchase. A brand new car Hi-Fi-System with top notch speakers. The sound was just I amazing! I was – literally – blown away. I couldn't believe my ears. So I thought this would be a great idea to write about it on my vehicles blog, because sometimes it can be a bit of a challenge to pick the right speakers for your sound system. So I'd like to share my newly acquired knowledge with you guys out there. Additionally this article is a great supplement to my previous one about car stereo decks. All speakers have one thing in common. One of the main parts is a thin membrane. Once this membrane starts to vibrate, it moves (pushes and pulls) tiny molecules of air around. This vibration is what we perceive as sound. The higher the frequency, the faster the movement, the higher the tone we can hear. The entire range can roughly divided into three different bands: low, mid and high. To cover all of those optimally, over time, a lot of different speakers, configurations and variants have been developed. If you look at a for sale site such as http://www.gebraucht-kaufen.de/autolautsprecher and are searching for car speakers, it sometimes can be a bit tricky to find the right ones. So here is what you should consider. This type is also known as 1-Way-Speakers. It only has one membrane which has to deal with all the different frequencies. Therefore the sound quality is not as good in comparison to the other types. But this kind of speaker is very cheap and easy to set up. They are more complex then the 1-Way- or Full-Range-Speakers. They consist of two separate membranes. 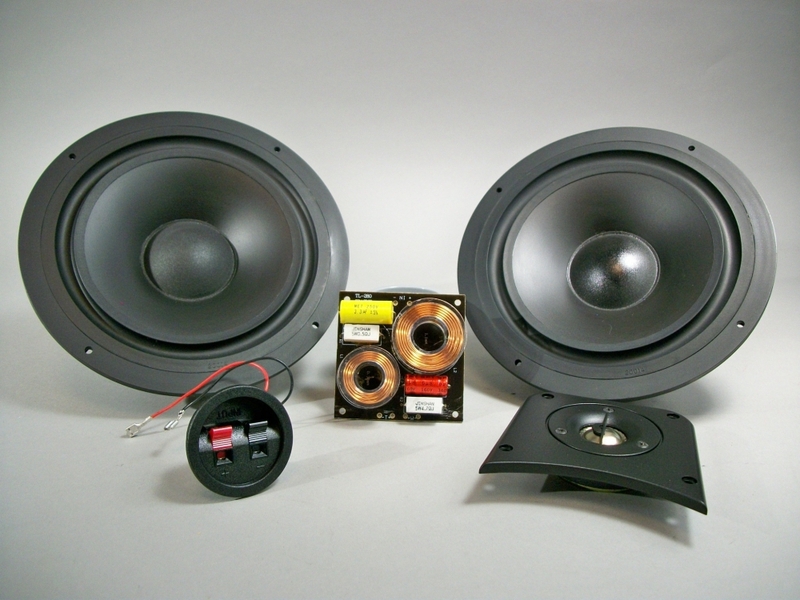 A smaller one, called tweeter, for the high frequencies and an bigger one, called woofer, for the mid and high frequencies. This is achieved through a frequency separating filter. Due to this separation, the sound quality is much better. But therefore they are a bit more expensive. Also the installation is a bit more complex. But overall these speakers offer the best value for money. These are the next logical step. As the name suggests, they house three different membranes. One for each band (low, mid, high). They offer the best sound quality but are slightly more expensive then the 2-Way-Speakers. If you don't have so much space available in your car but you're still looking for a great sound, you should consider coaxial-speakers. They are a special type of component speakers. Like a 2-Way-Speaker they house two separate membranes. But they are mounted on the same axis. Usually the tweeter directly sits on top of the woofer. They are as easy to install as the Full-Range-Speakers, but when it comes down to the sound, they can't compete with proper 2-Way-Speakers. Apart from those mentioned above, there are even more types such as 4- or even 5-Way-Speakers. But there is no further improvement in the sound quality. Personally, my favourite is the 2-Way-Speaker. It delivers a great sound at a very good value. And lately I found some really good deals on http://www.gebraucht-kaufen.de/2-wege-lautsprecher. Most of the speakers were at least 20% off the usual price you pay in stores. Please bear in mind, that I can't give any recommendations on peculiar brands. There are just for many out there. But I highly recommend the website http://www.toptenreviews.com/home/auto/best-car-speakers/. They don't just do great reviews on car speakers but also on car HiFi equipment. These are the most common types of speakers. Hopefully this will come in handy for you. Besides that, if you are looking for more accessories for you car, just check out the amazing shopping website www.Gebraucht-Kaufen.de. And make sure you visit this fantastic website regularly so you don't miss any of the amazing offers. And one last word of caution. Once you own an expensive High-End car Hi-Fi-System, you definitely should secure your car properly against theft. So take a look at one of my previous article on how to keep your car from being stolen.